My Homeland: Sentiments of the Lion City – Love for our Nation (9–18 March 2018) is Singapore’s Art Society’s 2018 edition of its Annual Art Exhibition. 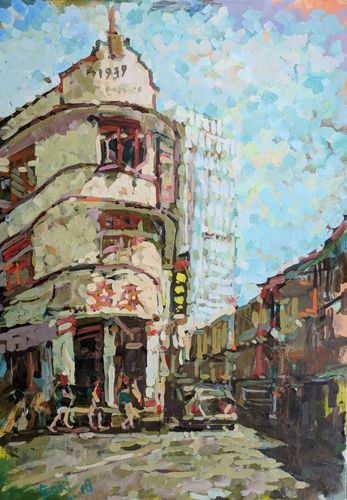 The exhibition seeks to educate the visitors about Singapore, through 70 nostalgic and beautifully rendered paintings of Singapore, exploring its developments over the 20th century. This will include memorable sights and settings from both past and present, in the form of calligraphic idioms and sketches by experienced artists as well as young budding talents.